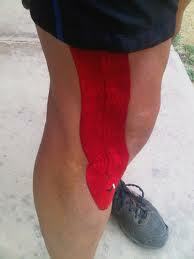 The IT band glides back and forth over the lateral femoral condyle as the knee bends and straightens. Normally, this isn’t a problem. But the bursa between the lateral femoral condyle and the IT band can become irritated and inflamed if the IT band starts to snap over the condyle with repeated knee motions such as those from walking, running, or biking. This leads to IT band syndrome. People often end up with ilio tibial band syndrome from overdoing their activity. They try to push themselves too far, too fast, and they end up running, walking, or biking more than their body can handle. The repeated strain causes the bursa on the side of the knee to become inflamed. Recently, health experts have found that runners with a weakened or fatigued gluteus medius muscle in the hip are more likely to end up with IT band syndrome. This muscle controls outward movements of the hip. If the gluteus medius isn’t doing its job, the thigh tends to turn inward. This makes the knee angle into a knock-kneed position. The IT band becomes tightened against the bursa on the side of the knee. This is also called a valgus deformity of the knee. People with bowed legs may also be at risk of developing IT band syndrome. The outward angle of the bowed knee makes the lateral femoral condyle more prominent and can make the snapping worse. This condition is also called a varus deformity of the knee. The symptoms of IT band syndrome commonly begin with pain over the outside of the knee, just above the knee joint. Tenderness in this area is usually worse after activity. As the bursitis grows worse, pain may radiate up the side of the thigh and down the side of the leg. Patients sometimes report a snapping or popping sensation on the outside of the knee. Thoughts go out to the MP Jo Cox shot in Leeds by a lunatic .